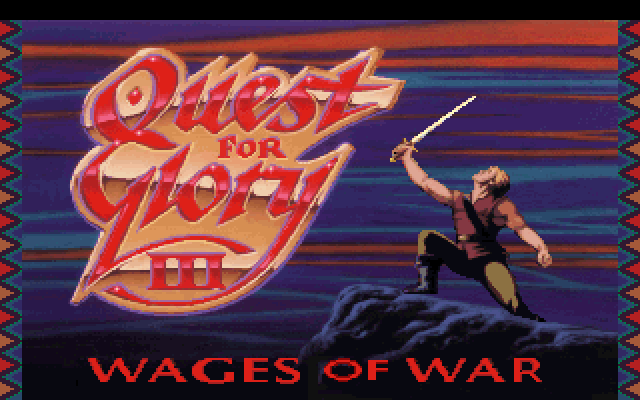 What comes to mind when you think of the Quest for Glory series? Colorful characters? Moral choices? Puns and silly jokes? Time-driven plot events? Practice-based skills? Puzzles with multiple solutions? If you've been waiting patiently for more of these things, you won't have to wait much longer, because Hero-U: Rogue to Redemption is almost here! Let's take a look at what Corey and Lori Cole have built for Quest for Glory fans. Editor's Note: Unlike our normal reviews, this one is spoiler-light. There are some light touches on plot elements and activities that happen within the game, but Reiko's review avoids any major plot spoilers. This review is also based on a pre-release version of the game and may differ slightly from the final version at launch. This might look slightly familiar. Who will win – the giant minotaur with the spiked bracers... or the dude wearing a scarf? 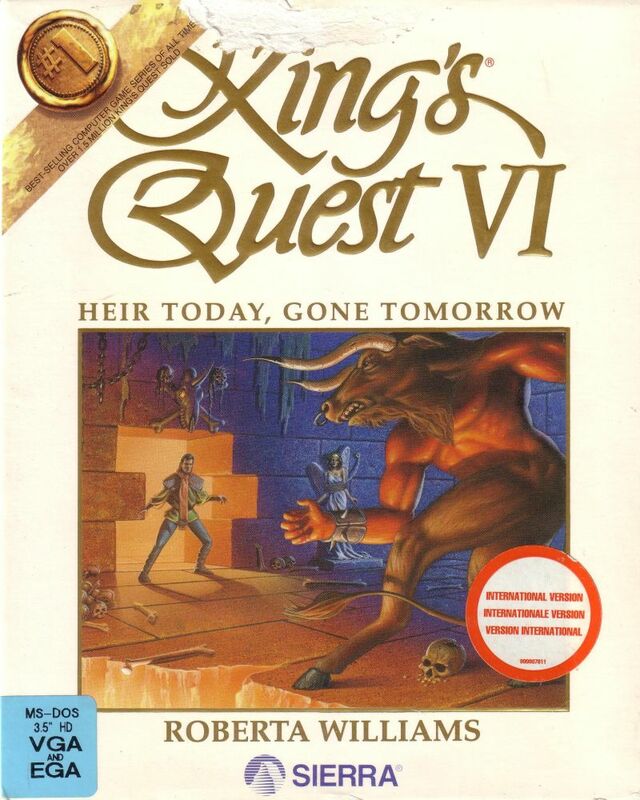 It's time for King's Quest VI. I played through 1990's King's Quest V a little over three years ago (we're a bit slow around here) and my most lasting memories are good graphics but nonsensical puzzles and lots of annoying dead-ends. I'm hoping for a better game this time around. With King Graham perhaps ensuring Daventry's army is properly armed with custard pies in case the yetis invade, we'll be controlling his son, Prince Alexander, this time around. We last played as Alexander in King's Quest III: To Heir is Human. Discussion point: What kind of game deserves a high score in Environment and Atmosphere? Hello folks, Voltgloss here, ready to start my first mainline Adventure Gamer playthrough after cutting my teeth on a couple of Missed Classics. 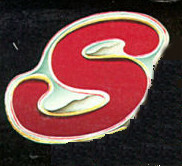 And what better way to do so than tackle the final chapter in Steve Meretzky’s post-Infocom magnum opus, that I described to my wife as “Harry Potter meets Animal House”: Spellcasting 301 - Spring Break! Having been an avid player of all things Infocom back in the day, but having never experienced the Implementers’ post-Infocom works, I’m excited at this opportunity to continue the journey started by Aperama while he is off for paternity leave. Comparing this game’s credits to those from the first two games, the one significant change I see is a bevy of additional “artmasters”: a total of 10, way up from the 4 of Spellcasting 201 and the 1 of Spellcasting 101. I expect this is due to the game’s being the first in the series to introduce VGA graphics. According to MobyGames I can also expect “continuous music tracks” and “slight changes to the interface.” Let’s plunge in and see what there is to see! Just… how are you wearing that? Electrical tape? The evil Dr. Claw has escaped and the Earth is saved from an environmental catastrophe for a few years. We have recovered Uncle Gadget’s gadgets, at least most of them, and need to go buy a new TV. 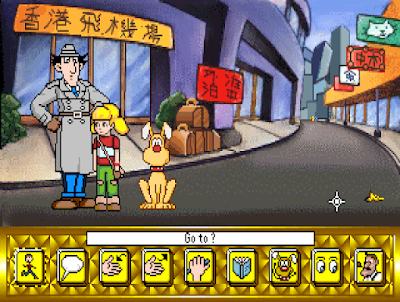 Most importantly, we have reached the end of our Inspector Gadget coverage and now it is time to rate the game. I am always uneasy rating a kids’ game, but actually I think this one will do okay. I enjoyed the game much more than I expected. I did get bored for a bit in the middle, but the high-quality of the writing kept me exploring even as I knew how the plot beats would play out. Let’s see how the game does by the numbers! Hello, I’m Tornado, and I'm a relatively new reader of this wonderful blog. Through it, I've been able to relive games I played years ago and learn about those I missed. And so, I’m grateful for this opportunity to write this final post on B.A.T. II (aka, The Koshan Conspiracy). At the outset of this guest post, let me express my deep thanks to Ilmari for pushing through 99.99% of the game. I played Koshan Conspiracy as a kid and never got very far. Over the years I’ve wondered what I’d missed, and so I’m grateful that he took over 33 hours of gameplay time to flesh it out here at The Adventure Gamer. My main motive behind this post is to set the record straight regarding the game’s final puzzle, which Ilmari couldn’t quite solve. This is where we left poor Ilmari. We made it! After madcap (get it?) adventures across four continents and rescuing all of the U.N. environmental ambassadors, we finally arrive back in New York. For acclaim and fanfare? For fortune and glory? No! It’s time for our final confrontation with M.A.D. inside the hallowed halls of the U.N. building itself. This is exciting and I am eager to see how (and if) all of the various plot threads come together. Will we be able to avert an environmental catastrophe? Will we have the same plot beats in New York as we have in all of the other episodes? There’s only one way to find out! Unlike the previous time that I came to New York, it’s light outside and it’s a nice detail that they actually changed the little airplane animation to show blue skies. 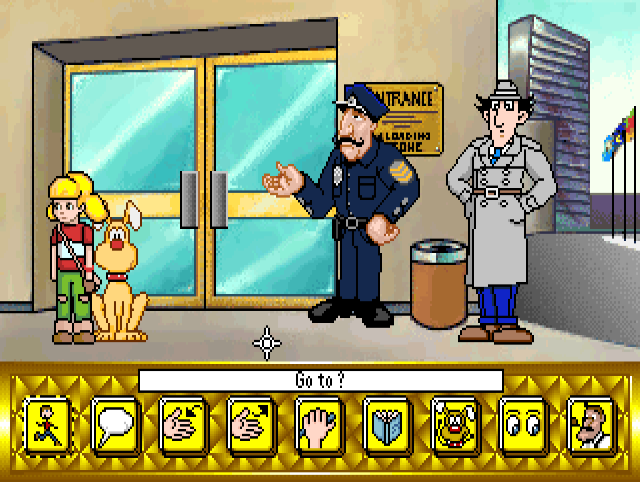 We don’t have to navigate an airport this time; we arrive directly at the U.N. building, guarded by an Officer O’Malley. Penny expresses disbelief that M.A.D. could ever infiltrate an organization as important as the U.N., but there seems to be something going on inside. When we talk to the officer about it, he can tell us only that Dr. Claw is here and hatching a “twisted plot”, although he doesn’t know specifics. (“I don’t know exactly, but it’s wrong. That’s for sure.”) He says that the police do not plan on doing anything about the situation except to hand it off to the world-famous Inspector Gadget. Uncle Gadget agrees and the police officer lets him in, but Brain and Penny have to remain outside where it is safe. How will we help Gadget if we’re trapped outside? For game developer, a hybrid appears to a lucrative possibility. 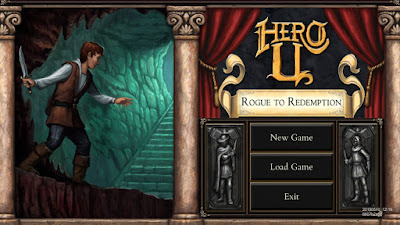 Why satisfy yourself with selling a game to adventure game fans, when CRPG fans might also be a potential target of marketing? Yet, making a hybrid is also a risky endeavour, since you might end up alienating both target groups. And indeed, the risk seems quite real, since for every Quest for Glory we have a game like B.A.T. and its successor. Discussion point: What kind of game deserves a high score in Dialogue and Acting? Will they ever release me from this torment? Here we are at last, Hong Kong! 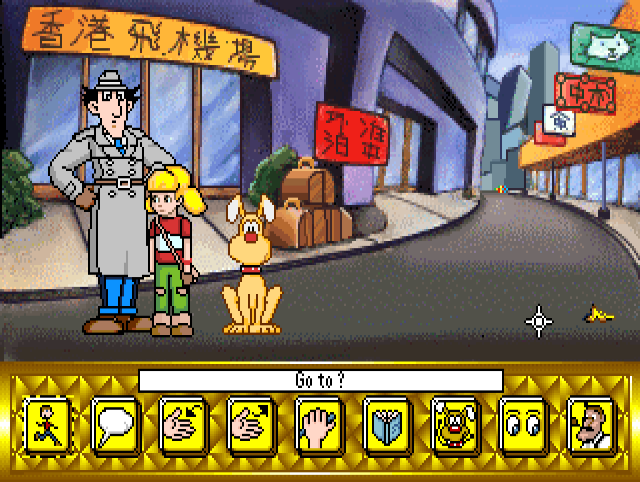 In my west-to-east tour of the world of Inspector Gadget, this is the last stop. I’d be lying if I said I wasn’t ready for the game to be over at this point, but it’s actually been a fun ride. I am curious to see how well (and if they bother) to adapt Hong Kong as part of the game. Will it be culturally accurate like our recent trip to Moscow? Or as generic and white-washed as Nairobi? The opening screen both terrifies me and gives me hope: the airport screen is identical to the one in Rio de Janeiro! The “Portuguese” signs are now in Spanish and there are no Gadget-clones running around, but otherwise it is the same. But in all that there is a glimmer of hope: I had a Chinese friend check out the signs and he claims they are all accurate! The yellow sign is for the Hong Kong Airport while the red sign really does say “No Parking” in Chinese! 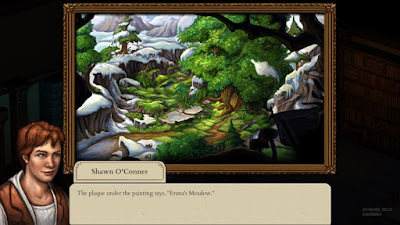 That represents a surprising amount of effort for the designers and I am eager to see if the same level of detail is applied throughout the rest of the adventure. 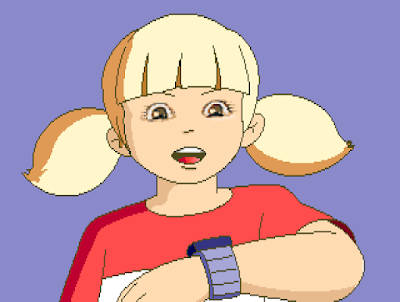 We talk to Gadget and the conversation has me puzzled. He tells Penny that Hong Kong is the home of the “shiny green suit”. Penny replies that Hong Kong is a free port where you can buy just about anything, but he insists that he wants a “shiny green suit”. What is up with that? Is this a dated cultural reference that I am missing? CAPs for anyone that can figure out what the heck they are talking about. Discussion point: What kind of game deserves a high score in Sounds and Graphics? Last time I had a problem how to continue, since I had no clue where to find any more deeds. Well, it turned out that the solution was to search through the belongings of everyone walking on the streets of Roma. They didn’t have any deeds with them, but one person did own something unique: a local newspaper. After fully exploring the city of Roma, I had found one quest - get the minority shareholders of echiatone mining in Bedhin 6 sell their deeds to you, so that you can kick the Koshan family out of the echiatone business. That quest failed, because the only person willing to sell his deeds, banker Julius Massiglia, asked an unreasonable price for them. My next quest then was to rob Massiglia bank, presumably to get enough money to pay for those deeds. My contact, Sylvia Hadford, hadn’t really any plan how to rob the bank, so she just told me to ask people about the bank. That suggestion was plain nonsensical, since everyone I could ask about the bank would just repeat one of the stock phrases. Then I accidentally hit the solution while trying to pursue a completely different avenue of investigation. Remember those three shady persons in a backroom of a bar, selling something called memory tablet? Discussion point: What kind of game deserves a high score in Story and Setting?